London hosts it’s third and final NFL International Series game at Wembley this weekend. The Detroit Lions take on the Kansas City Chiefs in the 2:30pm kick off and amongst the sell-out crowd will be one of the sport’s greatest players. 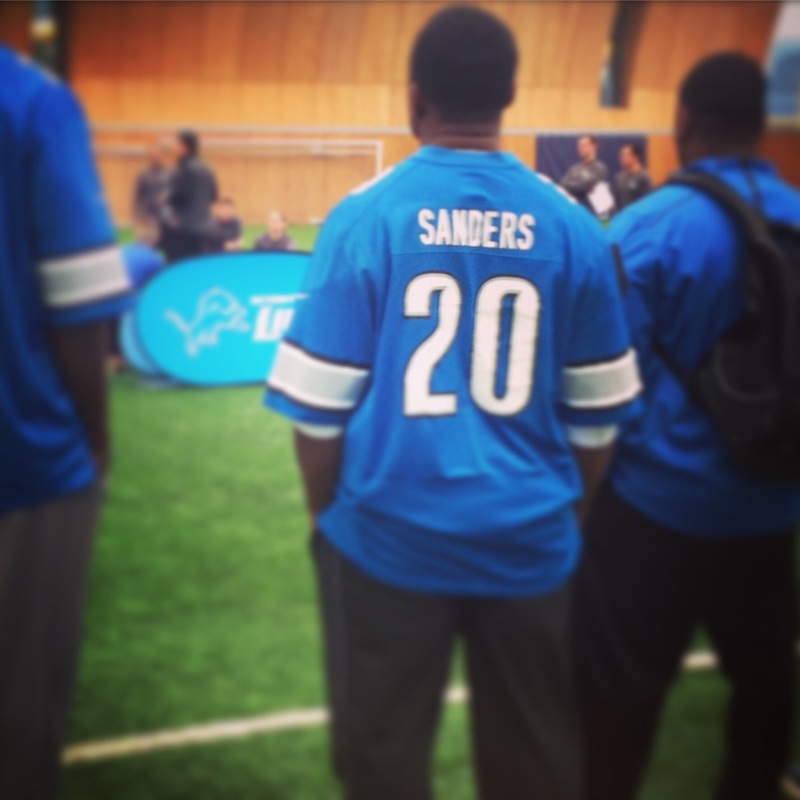 Depending on who you support you might say Barry Sanders is the greatest player to have played running back. Clocking up 15,269 yards during his ten year career, the former Lions back is the third highest rusher in NFL history. If he had played one more season, which he was physically capable of doing, he would have smashed the record and would sit top of the pile. But for Sanders it wasn’t about records. It’s taken the Lions fifteen years to find a back that can excite their fans the way he did. There’s been a lot of hype around Ameer Abdullah, their rookie from Nebraska. So far though he’s struggled to set the field on fire this season. But Sanders isn’t worried, “He’s a great player” he said whilst at a coaching masterclass for British amateur players at Tottenham’s training ground. Barry Sanders rushed for 1,491 yards in his rookie year, scoring four touchdowns and averaged 4.3yds per carry. Abdullah has featured in each of Detroit’s seven games this season. So far he’s rushed for 222 yards with one touchdown. He’s averaging 3.6yds per carry, but Sanders isn’t concerned, “he’s got a bright future because he’s a player who knows how to make big plays”. So why has it taken Detroit 15 years to find another feature back? “I’d like to think that guys like me are a rare breed,” explained Sanders. 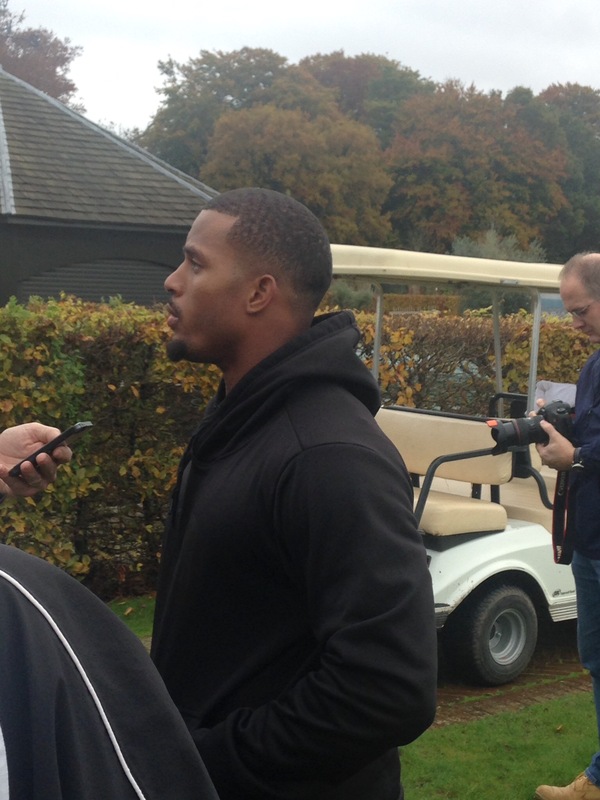 Ameer Abdullah has the potential and Lions fans will be hoping he’s given that space soon.